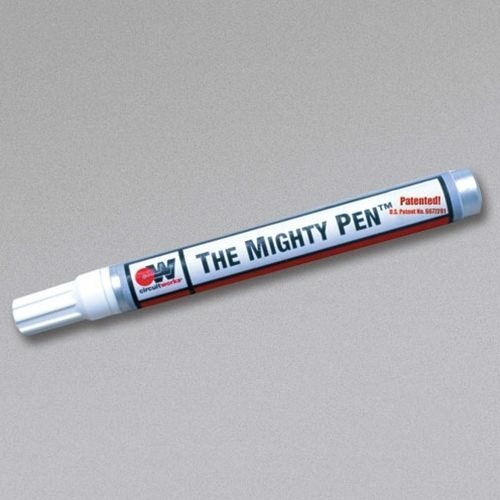 The Mighty Pen® is ideal for precise removal of label adhesives, marker and ink stains, and conformal coating from printed circuit board. The unique marker tip dispenser provides controlled and exact application. 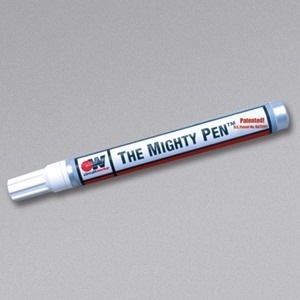 The Mighty Pen® allows for quick, convenient and precise spot removal of ink, label adhesive, conformal coating and most stubborn to remove soils. The solvent evaporates quickly and provides low surface tension for superior wetting. NOTE: Not For Sale or Use in California.